There’s no doubt that the beauty industry is becoming increasingly hard to navigate. With so much choice, so many brands and so many ridiculous claims its hard to know where to look and what to buy – and which products will really target those concerns we have now and in the future. Over the last fifty years we’ve seen brands dictate to women what they should be concerned about, in order to help ‘fix’ those issues with a very lovely (and expensive) face cream – but the tide is starting to turn, consumers are becoming increasingly savvy and we’re all learning that our imperfections make us. There’s no need to ‘fix’ that blemish, wrinkle or age spot unless we want to; it’s far more important to have a radiant, plump and healthy looking complexion, no matter our age. Thanks to the plethora of information now available online, we’re all making better choices and understanding that we don’t need to buy into a whole skincare range and that our skin doesn’t remain the same every day of the year; more of us are investing in a portfolio of reliable and effective products that deliver exactly what we want, when we need it. With this movement comes the inevitable launch of a community created skincare line that’s set to shake up the industry. 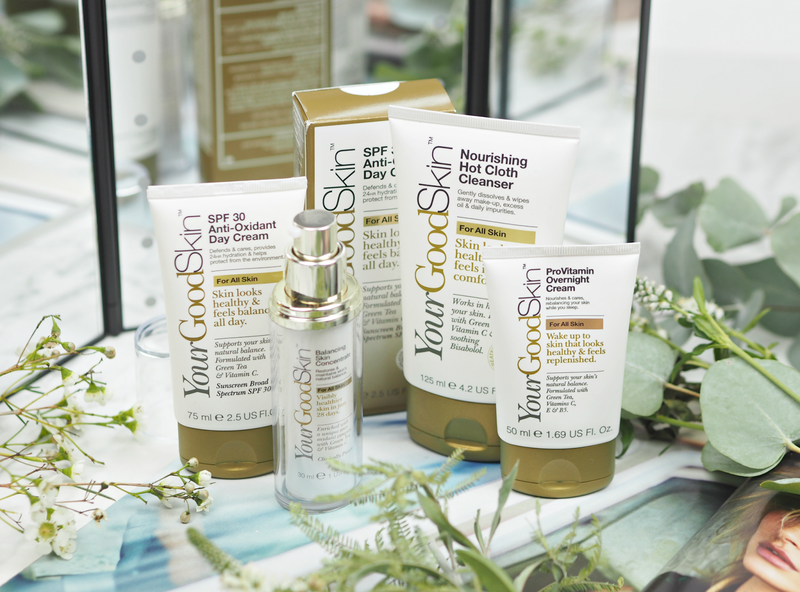 YourGoodSkin has been created by the Boots labs and is the first completely new ‘own brand’ in over twenty years to hit their shelves; with over 20 products to choose from (and more to come in 2017 and 2018,) this range has been designed to appeal to men and women of all ages and backgrounds that just want to find effective products that deliver what they need. All the products are affordable, starting at only £3.99, and have been developed with the same expertise as their best selling No7 skincare – so you know you’re in safe hands. With a multitude of clinical trials to back up their claims and prove the efficacy of their products, this is a skincare range with clout and longevity. But what’s so interesting and different about YourGoodSkin? The fact that it was created over two years with the help of over 2000 women. They say: “Over two years they openly shared their stories and experiences with us, and each other, of how their skin behaved. Not just on the good days, but on the bad days too. They told us what they liked and what they didn’t. It was this constant conversation that helped shape the YourGoodSkin brand so that our team of expert dermatologists could create the perfect range of skincare that answered the needs of real women with real concerns.” So rather than relying on people in lab coats or market research conducted by people with no interest in the beauty market, they went to speak to people themselves; they gave them products and collected their feedback, amending formulations and developing products until they got it just right. In an industry that’s historically been so focused on telling women what they want, rather than delivering what they need, it’s really quite refreshing. What’s even more interesting though, is that they’re continuing this community feeling by launching a community forum (where customers can share their experiences and ask for advice,) as well as a 28 day skin coach (who sends advice, tips and info direct to your inbox every single morning to keep you informed and on track.) They’ve identified that brand loyalty comes from a feeling of connection, from forming a relationship and from feeling like you’re discovering a firmly kept secret, and they’ve harnessed that beautifully in a really enriching and unique way. I’ve never seen such an idea for a skincare brand, but it makes total sense – especially as community created makeup brands have been around for a few years already, albeit to limited success. I’ve been trying some of the products over the last few weeks and have been impressed by the textures and immediate benefits they provide (my skin feels hydrated and radiant,) even if I’ve yet to see the full benefits of the 28 day programme. (This girl has been in full wedding prep mode and keeping to as much of a standardised skincare regime as possible!) The hero is undoubtedly the Balancing Skin Concentrate (£16.66) which has been clinically proven to improve five signs of healthy looking skin in four weeks, but other products of interest include the ProVitamin Overnight Cream (£6.99) the Hot Cloth Cleanser (£8.99) and the Pore Minimising Tonic (£4.99) All have been a pleasure to use, especially considering the price point, and contain ingredients that you’d often find in much more premium skincare. They’re not what I’d call outstanding, but I’ve certainly no complaints after trying each over the last week or two. Although the packaging design, in my opinion, is a bit naff and old fashioned, the price points and science that’s been injected into this make YourGoodSkin a range worth looking into. Rather than focusing on age or skin type, the brand has created universal offerings that aim to look after complexions according to need – a much more modern and refreshing approach that ensures it will appeal just as much to teens and twenty-somethings as it will to those in their 50’s and 60’s. That’s a hard thing to achieve. I’ve got a feeling Boots will invest heavily in this brand in the future, so watch this space because it’s surely set to be one of the biggest names on their shelves in 2018. What do you think of this ‘community created’ concept? 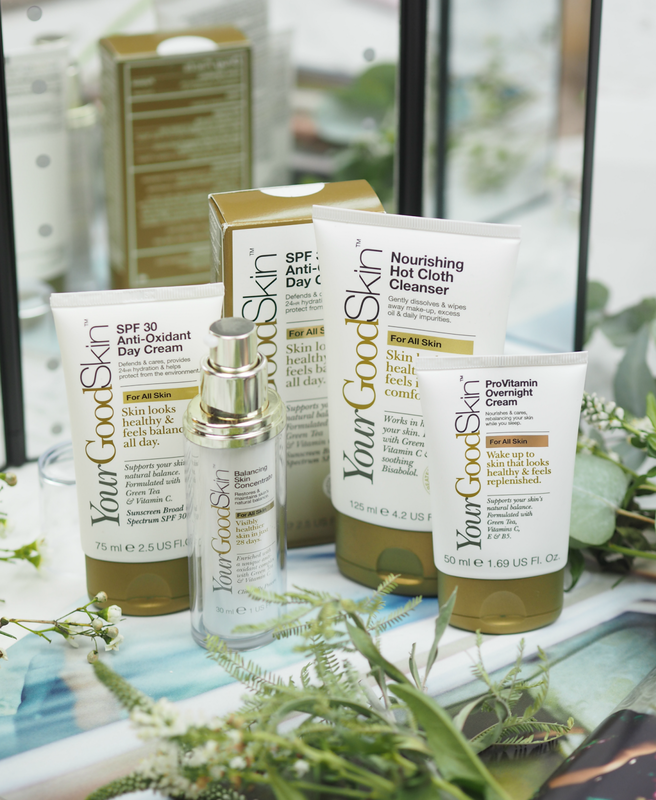 Are you tempted to try a few bits and pieces from YourGoodSkin? 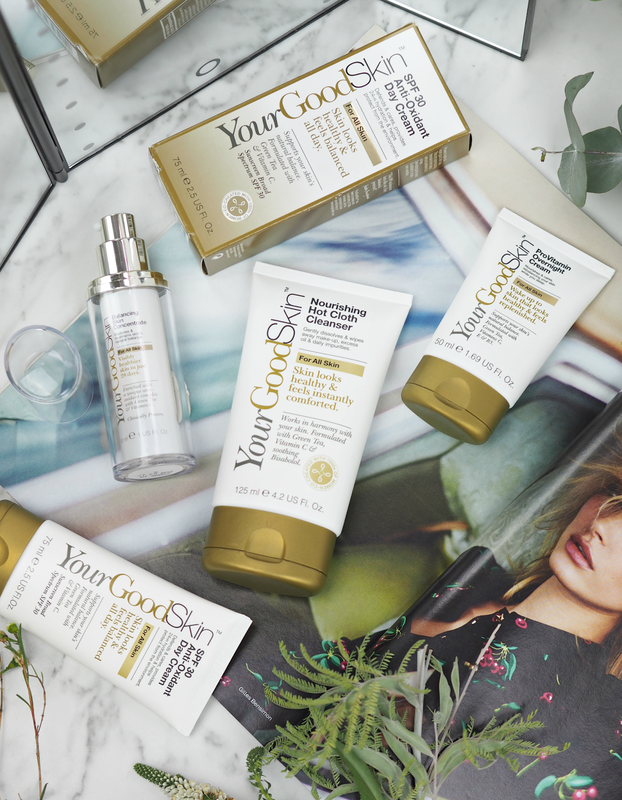 YourGoodSkin is available from Boots stores nationwide and online, priced from £3.99. I think they've tried to keep costs down with the basic packaging and appeal to a huge range of people – but the price is more important than the bottle! I like No7, I had a few creams, even now I'm using a handcream that is really good. I'm not sure if this new range sounds better. I agree – I see a lot more brands doing this in the future. They can't afford to pull an Estee Edit and lose a tonne of money on a completely badly marketed and created product. Yeah I expected it to be fresher and more youthful when I heard of it; it doesn't scream Boots to me, more Avon! But the stuff inside is pretty good regardless.